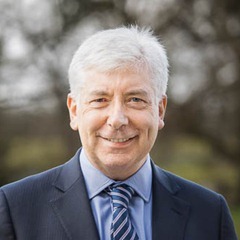 Minister for Communications, Energy and Natural Resources Alex White, TD talks to Owen McQuade about how delivering on energy and broadband policy opens up real opportunities and has the potential for involving citizens in changing Ireland for the better. Few briefs in government are as varied as that of the Department of Communications, Energy and Natural Resources (DCENR). Alex White recognises the challenging nature of his post but is also keen to point out its strategic importance for the State and its future prospects. Reflecting on his first impressions of his portfolio, White points to the breadth and “sheer size of the agenda that the department has to deal with from telecoms across to energy policy and natural resources.” Indeed, he recognises the case for “at least two” departments to cover such a wide brief. “That having been said, it includes some of the most critical policy areas for the country as we look to the medium and long term,” he adds. While the decisions of many other government departments have consequences on a daily or weekly level, DCENR has “the luxury of looking to the somewhat longer term,” particularly in energy policy. This represents a “very demanding” but ultimately rewarding responsibility for its staff. The role of Minister in this portfolio was traditionally “sitting on top” of a system that continued to operate from one week to the next. 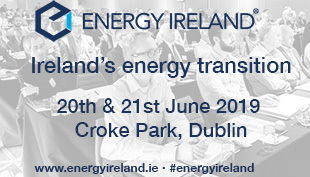 However, it increasingly involves looking to the future and assessing Ireland’s energy needs, the right sources for the system, and how to combine those in a policy statement in the best way for the country. He continues: “One aspect of my role that’s really come home to me in more recent months is the really close connection that there is actually between the communications side and the energy side. 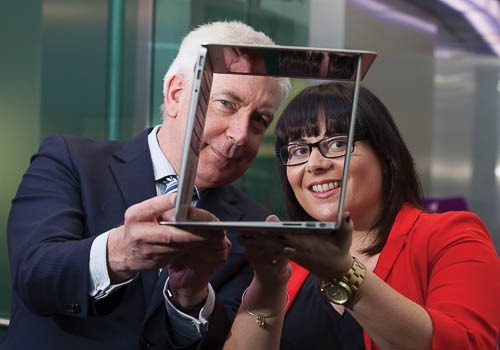 If you look at the potential for change in the energy sector, a huge amount of it is going to be driven by ICT.” Energy demand measurement is “bursting” into the ICT sector with an exponential increase in opportunities for Irish companies, large and small, via the smart grid. That element of “personal agency” in energy use interlinks with energy efficiency where Ireland has a good record but can go further. He notes that in other countries, this shift is raising questions about the traditional utility model. “All of the players, big and small, will have to recognise that this is a period of immense change,” the Minister adds, predicting that in five years’ time, the landscape will look very different. He has just returned from spending two days at the Low Carbon Scotland conference in Edinburgh. “We’ve done extremely well here and we’ve great potential on the renewables side,” he adds but Scotland is “a beacon” for the sector. Both jurisdictions, in his view, can learn a lot from each other due to their geographic peripherality, similar population sizes and strong rural economies. White notes that objections to mobile phone masts have “almost completely disappeared because people make the connection, of course, between the mast and the quality of reception on their phones.” If a similar connection can made between electricity pylons and a better quality of life, the same shift can take place in energy. “None of us is in the business of trying to locate large structures right on top of people and right on top of communities,” he affirms. White is satisfied with the planning guidelines for energy projects but he wants the related planning decisions to be settled “collectively” by communities rather than being perceived as imposed from Dublin. Climate change is a very real problem for the State but, even if it did not exist, Ireland would still need to overcome its heavy reliance on imported fossil fuels. Our overall import dependency was 89 per cent in 2013. Renewables are efficient “and renewable in every sense of the word” once they are up and running. White also sees “massive potential” in solar, biomass and offshore wind – although an enormous level of investment will be needed to release the latter source. €26 million has been allocated for research into ocean energy between 2013 and 2016. Ireland’s pooled Single Electricity Market differs markedly from the BETTA system in Great Britain, which centres on direct contracts between generators and suppliers. The regulators, he acknowledges, are working on the future design of the Irish market but he highlights the all-island nature of the market as an example of what can be achieved through policy. “With all of the drawbacks that go with being peripheral, if we can maximise what we can achieve and deliver on the island of Ireland, I think that can only be good for North and South,” he comments. For White, the case for universal access to high quality broadband is “unanswerable” and its roll-out will also empower citizens by giving them more control over their health through telemonitoring and more educational opportunities for their children. The private sector has already spent €2.5 billion in expanding broadband coverage but, in 30 per cent of the country, the investment will not be profitable and the State will intervene. By this summer, DCENR will have produced a detailed implementation plan for the network’s ownership, and its funding sources and governance structures. This will be followed by an application for EU state aid in the autumn with a view to going out to tender by the end of 2015. Based on that timetable, a successful bidder should be in place by early-to-mid 2016 “and there’s no reason to believe at the moment why there should be any slippage in that.” Rolling out the cable will take three to five years and his intention is that the last customer should receive broadband by the end of 2020. Originally from Dublin’s North Side, Alex White had a successful career as a barrister for 20 years – in employment law – and as a current affairs producer in RTÉ before entering politics. Educated at Chanel College, Coolock, he graduated in economic and social studies from Trinity College Dublin. Married to NUI Maynooth sociologist Mary Corcoran, they have one daughter and one son. He was initially a councillor on South Dublin County Council and then a Senator (2007-2011) and TD for Dublin South since 2011. He joined the Cabinet last July after serving as Minister of State for Primary Care. In terms of interests outside politics, he’s a “pretty wide reader” and his last book was ‘The Man Who Loved Dogs’ by Leonardo Padura.